Trained forensic professionals investigate accounting and financial transactions that are, or will become, subject to legal proceedings. It is an early step in a potential war, and many times it is the first shot. Attorneys and c-level executives are often not familiar with forensic techniques and see it as a means to quantify a loss. Financial forensics also provides a means to deter and detect fraud. 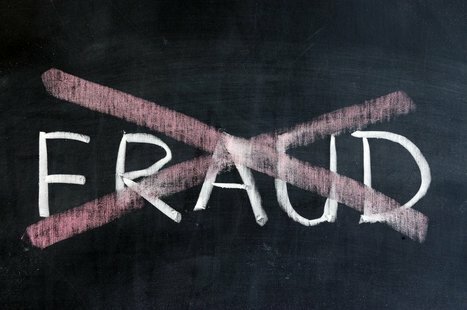 In this article, I share my views on the value of forensic techniques used to deter fraud. Trained forensic professionals investigate accounting and financial transactions that are or will become subject to legal proceedings. It is an early step in a potential war, and many times it is the first shot. Attorneys and c-level executives are often not familiar with forensic techniques and see it as a means to quantify a loss. Financial forensics also provides a means to deter and detect fraud. In this article, I share my views on the value of forensic techniques used to deter fraud and encourage CVAs to consider attending the CTI’s Forensic Accounting Academy™ or Fraud Risk Management courses offered through the MAFF programs. As for forensics, the process used involves identifying, gathering, analyzing, and investigating transactions in a manner where the results can be clearly explained and documented. Guesswork and assumptions are not part of the process, but inquisitiveness is essential in charting the path of what needs to be done. Opinions are presented as an end product or result of the work. The engagement process needs to be free of bias; this means we refrain from supposing or leaning. The forensic report or result is a factual and expert presentation of financial and economic issues and possible quantifications of claims or damages that flow from the investigator’s procedures. Some areas where forensic professionals are engaged are marital disputes, business partnership disagreements, commercial litigation, loss damages such as from a fire or flood, breach of contracts, royalty and license payments, bankruptcy and pre-filing issues, suspected employee theft, falsification of financial reports, insurance fraud, merger and acquisition due diligence, and preliminary top side reviews. The genesis of the process is adversity. Yet, some of the conclusions reached can provide tangible benefits by recommendations of corrective measures that can be implemented to reduce risks of future losses or a tightening of controls. In fact, some engagements are not litigation based, but rather are for the purpose of risk containment by reviewing a company’s processes and procedures to make sure they are being followed, and to provide an oversight that they are appropriate for the company and its personnel. By way of example, in one day’s newspaper a few months ago there were three articles about glaring frauds or stupid errors. It seems Bank of America made a $4 billion error overstating their capital; another was about contractors that were sentenced to twenty years in jail for fixing time records with the City of New Yorl; and the third was the federal government looking to bring in new people to run the healthcare websites because of the immobilized sites when they were getting started. From my way of thinking, all of these could have been avoided with proper procedures, controls, reporting, and oversight, and with someone in charge of this. When no one cares, cracks are opened and possibly otherwise honest people do things they shouldn’t or people just get sloppy and do not pay attention to what they are supposed to be accomplishing. When many misstatements are uncovered, forensic accountants or those trained in forensic techniques (not necessarily accountants) become the “tabulators” of the enormity of the system failures. I suggest that forensic professionals be called in early to create the systems that will make it extremely difficult to break through or that will deliver a message of the certainty of disclosure once a line is crossed. Deterrence provides strong safeguards. Various professionals and consultants can set up controls with in-house accountants, the CFO, and financial professionals employed by the firm, but they then leave and the organization is left with administering it. Unless there is a highly disciplined and committed leadership within the company, the initial enthusiasm dissipates soon after. A trained forensic professional will detect flaws and cracks in systems and plug them up. They are also transaction-, more than procedure-, oriented so they examine more closely how things are being done and look for subtle deviations from how they are supposed to be done. This skill should be employed in oversight and periodic monitoring of the controls they helped establish. The person that writes and mails the checks to pay a bill also receives the bank statement and performs the reconciliation of that account. With this there is no control or oversight whether payments were proper and not misdirected since the person is “checking their own work.” Having a different person reconcile the accounts adds an element of control. Merchandise is ordered by a person who also receives it, places it in inventory, and authorizes the payment. There is no oversight of the products received, that they were actually placed in inventory or that the right material was ordered or even received. Adding a different person to the process anywhere along the way can provide a control to thwart any theft. Employee theft can occur at any point if temptation is blatantly put in front of otherwise honest people. Not always, but occasionally. Petty thefts of packages of coffee and office supplies, up to scrap metal, inventory items like parts and finished products, can be easily taken without adequate controls. It is hard to secure coffee and office supplies, but parts and inventory can be controlled with a protected location and perhaps a video camera recording activity in and out of the area. Salespeople can pad their expense accounts and time workers can find ways to punch in earlier than when they show up or later than when they quit for the day. Simple controls can impede many of these stealth frauds such as with periodic but regular spot checks. Forensic professionals can also work with in-house accountants to set up controls to monitor and measure business performance data such as unit production, sales and inventory size, trend analyses of series’ of summaries or compilations of transactions, reconciliation of activity from multiple sources, tracking the transaction flow from a sequence of product and paperwork movement, monitoring the usage of websites and length of time on the site, throughput of orders and timeliness of fulfillment. For hospitals and hotels, the measure could be the trends of occupancy rates, demographics of patients or customers, and possibly the source of the customer. For restaurants, table turnover, number of covers ordering appetizer, desert or side dishes, and the busiest weekday times. The point is that no matter what the business, there is essential information that can be captured and presented to the managers where the reliability is quite high. When forensic accountants perform an investigation, these are among the types of transactions they review, chart, capture, and use to develop their presentations. Experienced forensic professionals have their own databases and key performance metrics for almost every type of industry. Businesses are organic and need minding. Part of this is to have adequate controls that do not tempt personnel to steal. Forensic professionals have the skills to establish, train, implement, and monitor systems and controls and follow through on tweaks and digressions. They should be the first person clients turn to when they need a system repaired or installed. The right system also serves as a deterrent to those that are not otherwise predisposed to cross the line, and also sends a strong signal of the likelihood of their actions being uncovered. Edward Mendlowitz, CPA, ABV, CFF, is partner emeritus with WithumSmith+Brown, PC, in New Brunswick, New Jersey. He has over 40 years of public accounting experience, is a licensed Certified Public Accountant in the states of New Jersey and New York, and is accredited by the American Institute of Certified Public Accountants (AICPA) in Business Valuation and as a Personal Financial Specialist (PFS). The author of 24 books, Mr. Mendlowitz has written hundreds of articles for business and professional journals and newsletters and presented over 200 CPE programs. He writes a twice a week blog at www.partners-network.com. Mr. Mendlowitz can be contacted at (732) 964-9329 or by e-mail at emendlowitz@withum.com. Do Candidates Find Your Employer Brand Attractive?